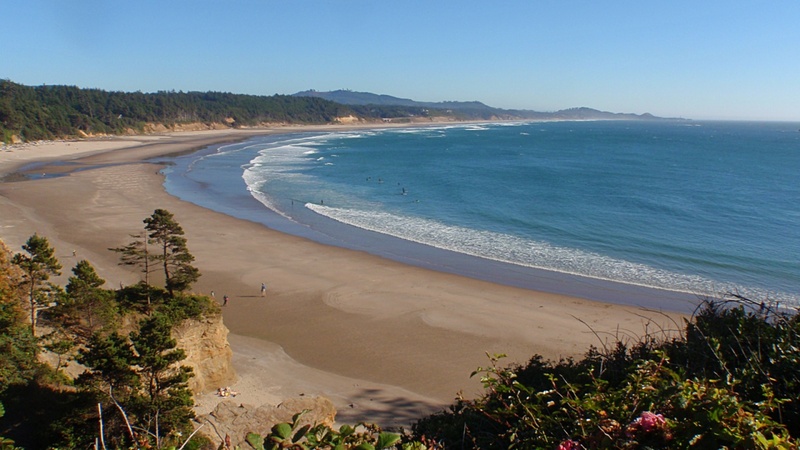 Just down the road from The Devil's Punchbowl in Oregon, is Otter Rock, another excellent surf location. Take a look at that fabulous beach and that beautiful water. Replace the trees with jungle foliage and you could be looking at some tropical stretch of sand.